This funny design for experienced birders is in the style of a superhero logo. The original birder design reads I can identify a Chipping Sparrow at 50 yards What's your superpower? 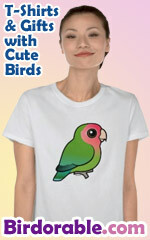 This is a funny, unique birding spoof design for experienced birdwatchers!